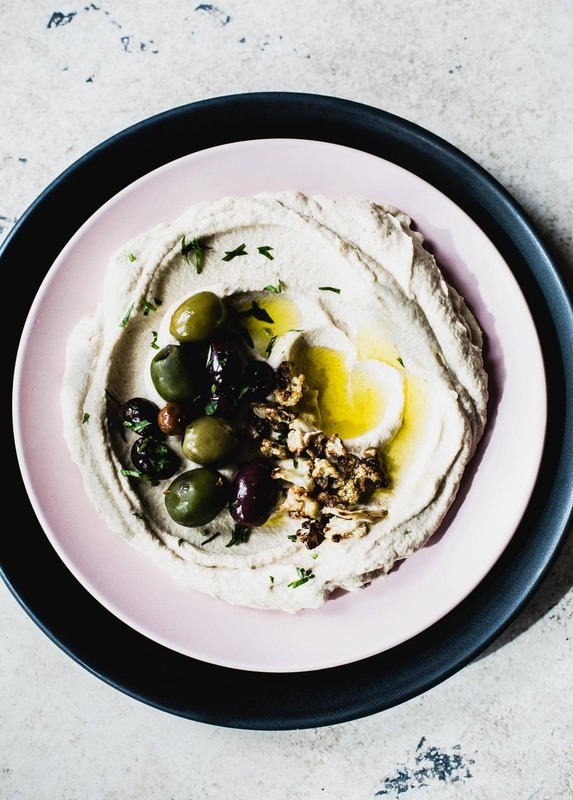 Billowy and smooth, this roasted cauliflower dip tastes a whole lot like the best hummus you’ve ever had, yet doesn’t have a single bean in it. 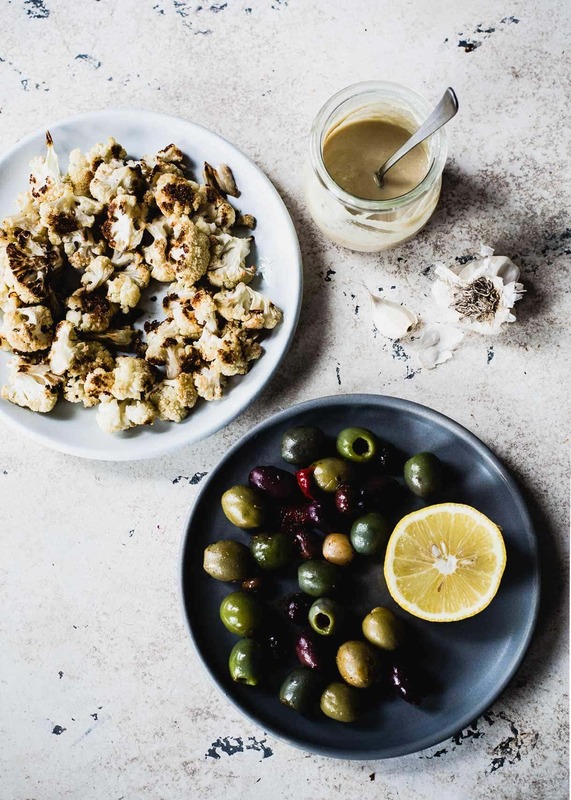 It’s flavorful and creamy, easy to make, and includes some all-star ingredients like cauliflower, tahini, lemon, and garlic. Topped with olives, parsley, and rich olive oil, it looks and tastes fancy….. Easy fancy, just the way I like it. I particularly like the olives for their saltiness and added texture. 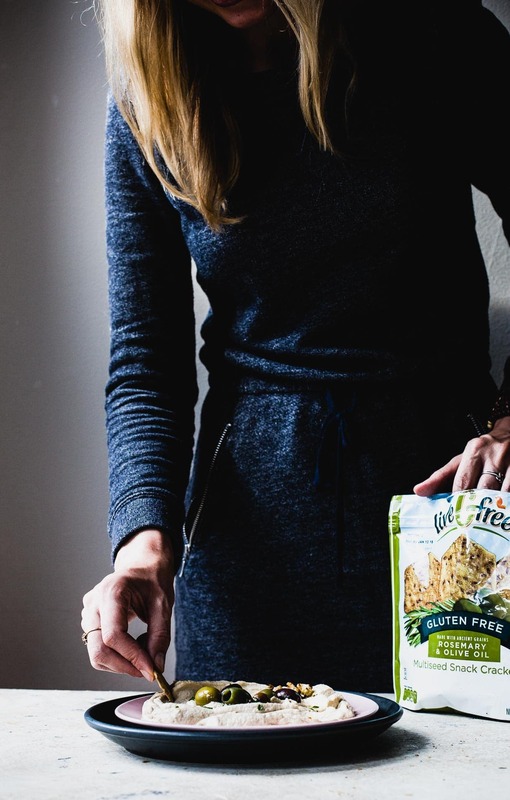 I ate it first with a spoon, warm out of the blender (as one does), and then grabbed a box of liveGfree Gluten-Free Rosemary & Olive Oil Multiseed Crackers from ALDI (a winner of the 7th Annual Gluten-Free Buyers Guide Awards), which were the perfect dipping vehicle. They remind me of Crunchmaster, but the texture was better and they’re less expensive too! Win. My main recommendation is to make a double batch and use throughout the week to create other meals. It’s so versatile! A sandwich spread, cheese plate addition, on a veggie platter, or even as a creamy bed under roast chicken. I don’t think you could go wrong. Grocery shopping. For some, those two words are like nails on the chalkboard. The decision making, meal planning, budgeting, long lines, etc. I’m at the store typically every day, because of the work I do. Sometimes more. That being said, I have a pretty good routine down, and have my stores I like better than others, or are the only ones who have certain ingredients. It had been five years since I’d walked into an ALDI store. 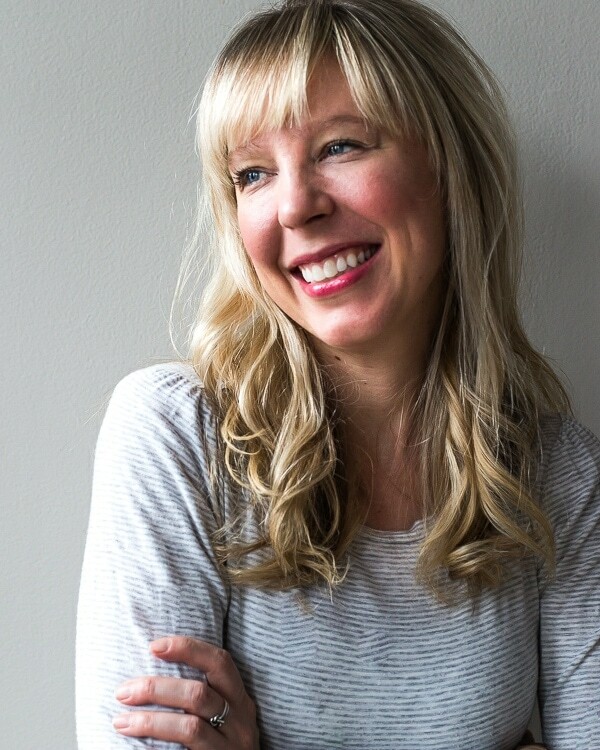 As someone whose cooking was rooted in fruits and vegetables, grass-fed or organic dairy and meat products, and a few gluten-free staples like bread and grains, I didn’t see much reason to shop there. I’d read a few articles in the past year about changes ALDI had been making to their stores, including affordable organic produce, a larger selection of fresh food in every aspect from dairy to meat, and adding a gluten-free product line. They’re also remodeling about 1300 stores around the U.S. My interest was piqued, but I still hadn’t checked it out. Until about two weeks ago, as part of a partnership with ALDI. I went to one of my local stores to see the updates, and share those thoughts with all of you. And I genuinely was taken aback at what they’ve done, and how far they’ve come in providing people with affordable, healthy food, with more of a focus on freshness. And they’ve removed added MSG, certified synthetic colors and partially hydrogenated oils from ALDI exclusive food brands. I’m a big believer in accessibility in terms of encouraging people to include more fruits and vegetables in their diet, and that is one of the biggest ALDI benefits. They have really taken the initiative to bring healthy food to everyone, providing fresh and organic food at a low price, resulting in more people being able to insert color, variety, and nutrition into their meals. And the remodeled store? It was airy, bright, and had a much more inviting feel to the aisles and design. They used a lot of recycled building materials, with LED lighting, and energy-efficient refrigeration. I’d definitely recommend stopping by an ALDI store near you. I think you’ll find it worth it, and much improved, just like I did. 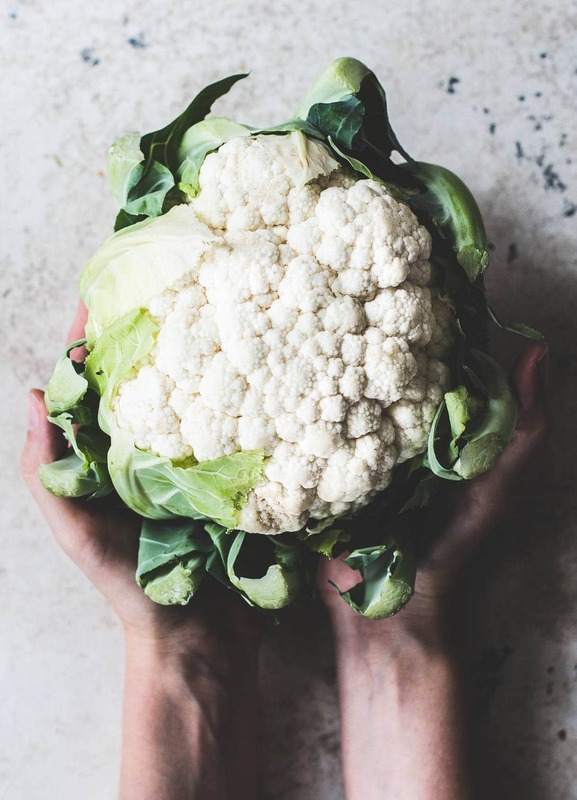 Preheat oven to 375 degrees F. Toss cauliflower with 2 tablespoons olive oil and 3/4 teaspoon salt. Roast for 35 minutes, stirring once. Meanwhile, mince the garlic and set into a bowl, then pour lemon juice on top. Let sit while cauliflower roasts. This helps make the garlic “linger” in your mouth less. When cauliflower is done roasting, add to a food processor or high speed blender. Add 2 tablespoons olive oil, remaining salt, garlic and lemon juice, tahini, and water. Blend until completely smooth, adding a little more water if needed. Spoon onto a plate and make a small well in the middle, drizzle with remaining 1 tablespoon olive oil. Garnish with olives and fresh parsley. Serve with crackers. I hate olives (I know! But I do). I am a salt fiend, however. So how to get the saltiness of the olives without the olives? I am thinking capers, perhaps. Am I crazy or should I try it? a mix of chopped salted nuts, caper, and lemon zest would be delicious instead of olives! This looks so dreamy and creamy, Amanda!! Cauliflower for the win and these crackers must go perfectly. Great flavor combo, I can’t wait to make this!!! I’m such a new lover of ALDI, too! It completely floored me! I’m actually on my way back today for regular groceries! Did you see the wild salmon in the frozen case? It’s boneless & skinless, and I use it to make salmon burgers. ooh well we actually do have ALDI in Australia too! Although like you, I hardly ever venture in, though I’ve recently heard that they are extending into the fresh fruit & veggie market..so maybe I’ll have even more cause to shop there. And this cauliflower dip looks amazing!! 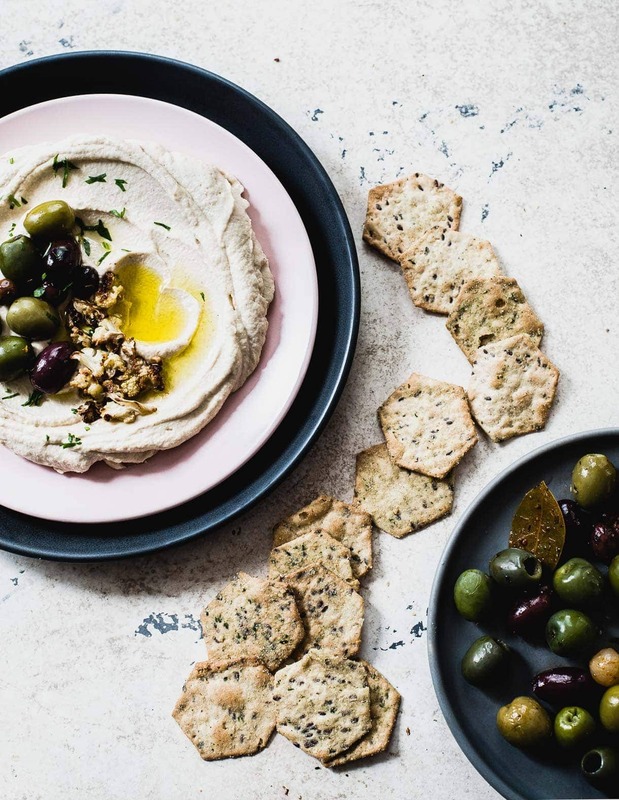 Love hummus-style dips on the sides of salads so can’t wait to try this – recently made a butternut squash-tahini-cumin dip in a similar way. This looks SO creamy and delicious! Can’t wait to try with some Simple Mills crackers! ultra creamy! the tahini is key for that. What a treat to have planned almost an entire meal for a Sunday evening, and then during the day, to learn of this unusual starter. Clearly a snap to put together, this became a last minute appetizer for last night. Your brainchild was a major success. I cannot find the right words to emphasize that statement, other than we flipped our lids. Light, yet so satisfying. 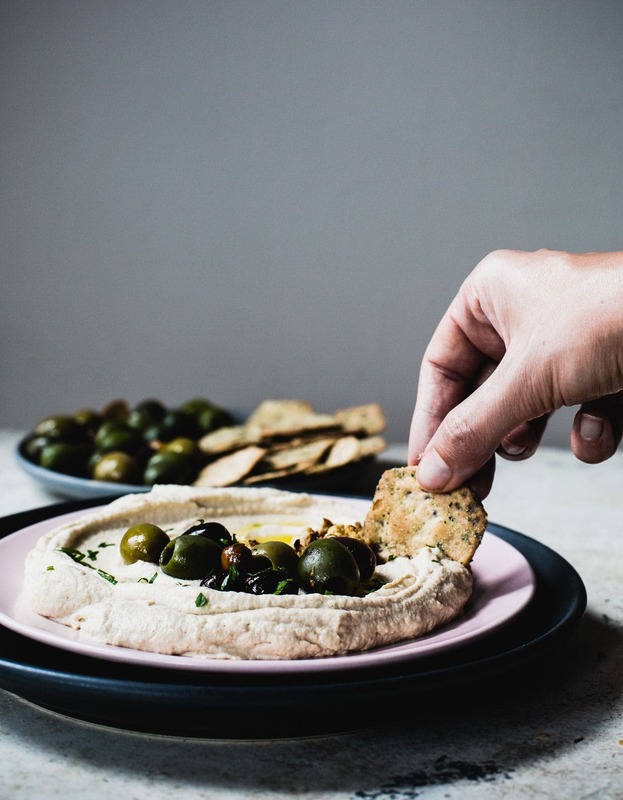 I will be making this many many times, and will always make sure to include the olives (I gave them a rough chop, to distribute evenly) and olive oil drizzle. Thank you Amanda, from the heart for sharing what will become an heirloom recipe. What a lovely message, Jeff! I’m so glad you’re family enjoyed the recipe, and that it will be made again in your home. Jeff, you sure have a way with words, and I sincerely mean this as a compliment. Maybe you could try writing for a living; you certainly have my vote!!! Whoa, this was potent. Thank you.